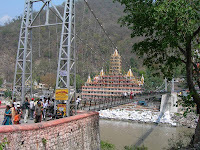 Rishikesh is also spelled as Rushikesh, Hrishikesh or Hrushikesh. This is the municipal board of Dehradun and a beautiful religious city of Uttarakhand State, India. This small city is situated in the peaks of the Himalayas towards north side of India. As per experts Rishikesh is the Gateway to the Himalayas. The other two surrounded districts of this city are Pauri Garhwal and Tehri Garhwal. The holy city Haridwar is situated in north side of Rishikesh and the average gap between the two towns is roughly 25 km. According to population survey the count is nearly 70,000. The major economic method of city is tourist attraction and people are coming to this place throughout the world. It attracts loads of pilgrims and visitors every year from India and abroad both. This complete vegetarian city is alcohol-free. The law of plastic bags is strictly followed by people in Rishikesh. The name Hrisikesa is given on name of Lord Vishnu which denotes lord of the intelligences. The word is parted as Hrishik and other is ish. The combine of these two words becomes Hrishikesh which means senses and master or Lord. The historical and religious values of this place can be judged from the details available through different sources. 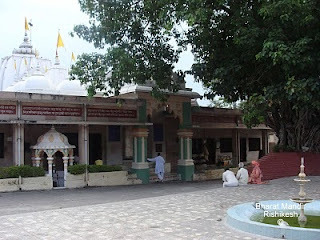 As per present data this place is named after appearance of Lord Vishnu to Raibhya Rishi. 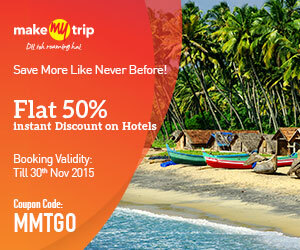 Earlier this place was named as Kubjamrak as the god Vishnu emerged below a mango tree. The past of the city: The past of the city express that Lord Rama did reparation here for assassination of Ravana the king of Lanka. 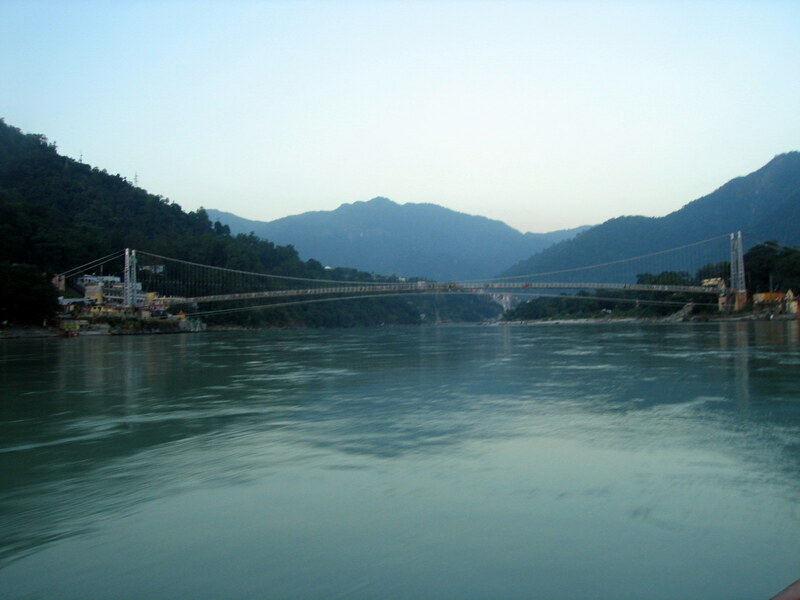 Lord Rama’s brother Lakshman crossed the river Ganges where the Lakshman Jhula named bridge is present today. 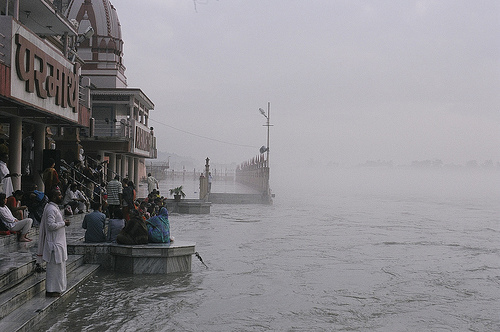 The river Ganges comes from Shivalik hills of the Himalayas and floods out into the ground area of northern India. 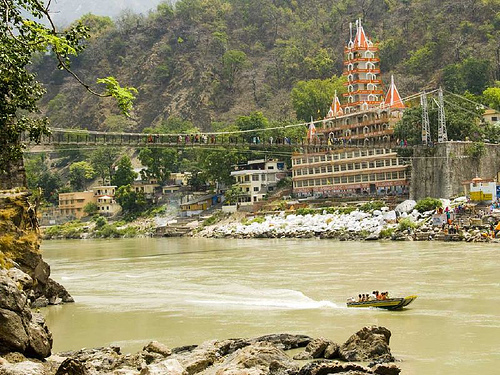 The temples serving near the banks of river Ganges are major part of Rishikesh visit. Those who are passionate about adventures events can go for Rafting as Rishikesh is world known place for water sports and adventures events. The season for rafting event starts from the September which ends in middle of March every year. This beautiful city is a 120 years old home of Ashram Brahmavidyapeetham. This ashram is an institute devoted to protect and encourage the usual Vedantic education. World famous personalities like Swami Rama Tirtha, Swami Vivekananda and Swami Shivananda had education from this institute. 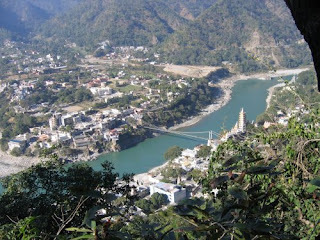 This small city Rishikesh is situated at 30.103368° north and 78.294754° east. 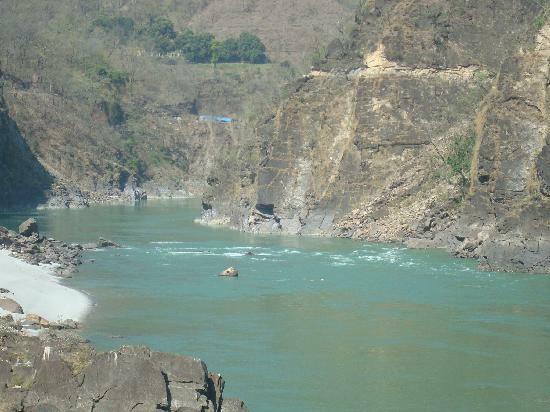 The place to visit in Rishikesh includes the Tehri dam which is just 80 km uphill on Ganga River. Rishikesh is the initiation point of Char Dham pilgrimage Yatra and people reach here before starting the journey to 4 big pilgrimage places such as Kedarnath, Badrinath, Yamunotri and Gangotri. Adventure sports: Here people can enjoy the white water rafting sports as it tenders average to bumpy rapids in the river Ganges. 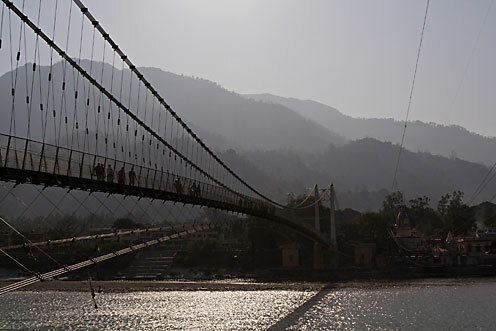 Rishikesh is also known for bungee jumping as this is the only feature available in India in Rishikesh. Bharat Mandir: this is the only temple created by Adiguru Shankra Chrya arround in 12th century. 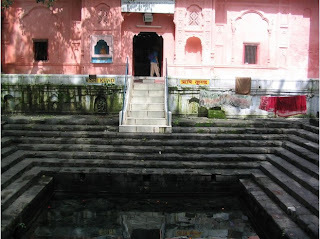 This holy place is positioned in the heart of the older municipality area of the city on Banks of river Ganga. This is the temple of lord Vishnu, imprinted with solo Saligram. Rishikund: this is the lake situated close to Triveni ghat. 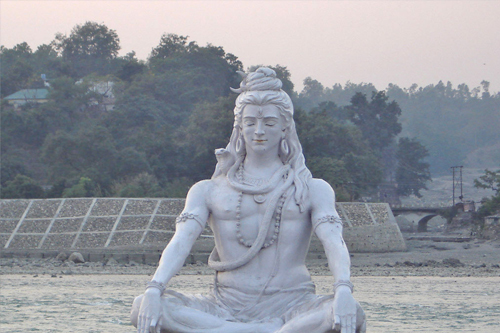 This most ancient place is best spot of Rishikesh for visitors. This lake imitates the temple of Ragunath which is fanatical to lord Ram and Goddess Sita. 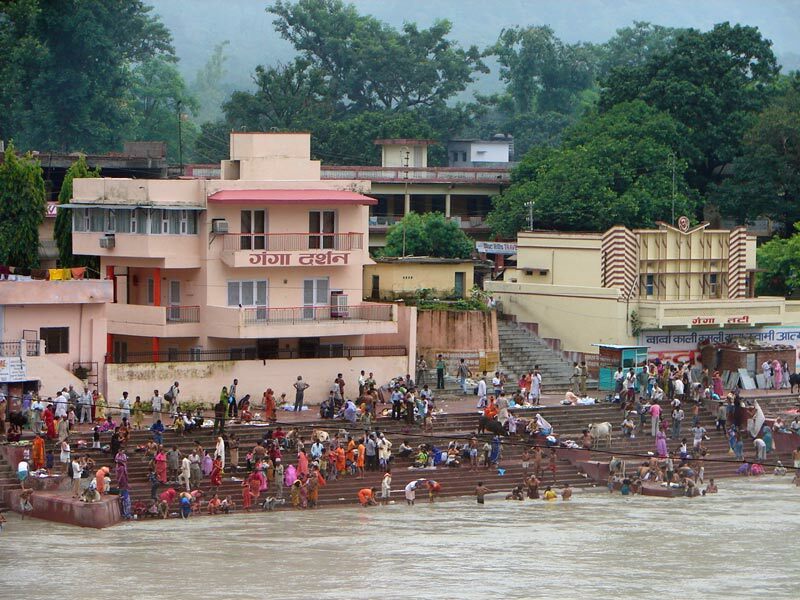 Triveni Ghat: this is the major ghat of the town where the maximum people take holy dip. The Ganga aarti at the spot is world-famous and people get together every evening to take part in such aarti. 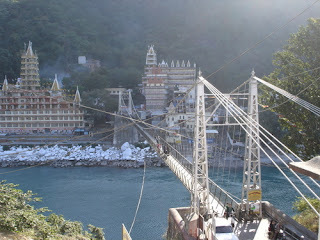 Ram Jhula: This is another spot where visitors can enjoy. This is the area which covers various spots such as Geeta Bhawan (this is the oldest temple complex in Rishikesh), Parmarth Niketan (this is the most famous temple and ashram of Rishikesh). Parmarth is also recognized for extensive work on Hinduism as there are three schools running with traditional Indian way of education. Maharishi Mahesh Yogi’s Transcendental Center (MYTC): this center is located on the very end of Geeta Bhawan location. 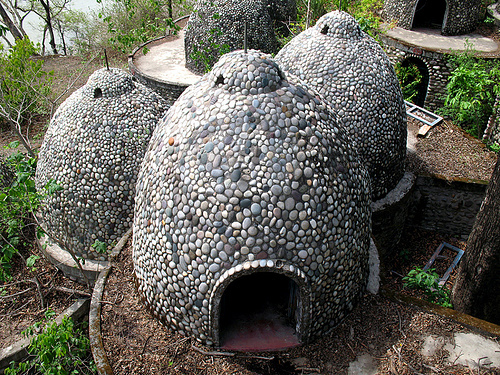 It comes into the forest area of Rishikesh which means visitors can enjoy nature beauty and real peace life at this spot. 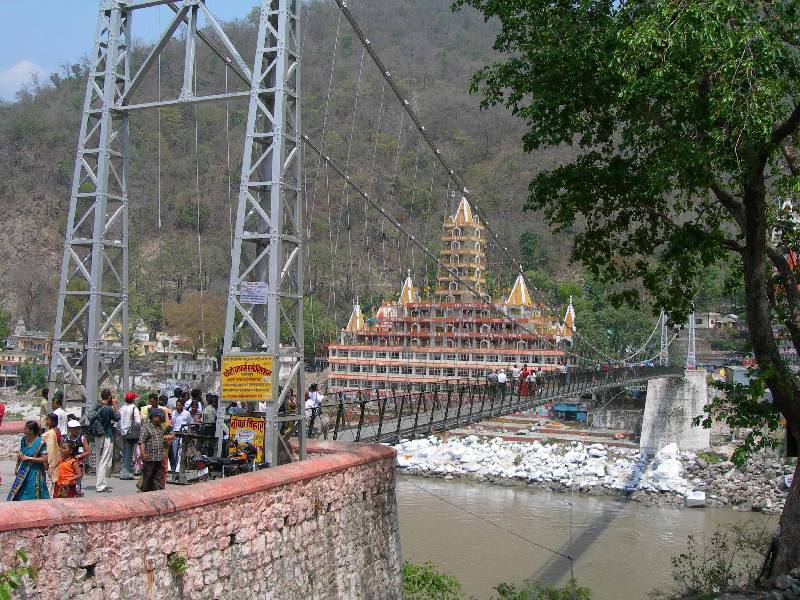 Laxman Jhula: This is well-known spot of Rishikesh especially for visitors as Laxman Jhula is world famous and people visit the Rishikesh to watch the big flowing Ganga from this bridge. In this area people can watch Tera Manzil Temple (13 story temple) which contains the idols of Hindu Goddesses and Gods. Visitors can enjoy the sunset view at this place, though the view becomes very special in winter season. Laxman Temple: this holy spot is located on bank of the Ganges. This ancient temple is dedicated to lord Laxman. According to records lord Rama and Laxman made a stick overpass to enter the Himalaya ranges. By Air: Rishikesh is a hill town and located in Garhwal region of Uttaranchal. However, no airport is available to reach the place directly so visitors have to utilize the nearest airport Jolly Grant which is situated in Dehradun. The total distance between Jolly Grant airport and Rishikesh is 35 kms and users can easily reach to the place through local transport. 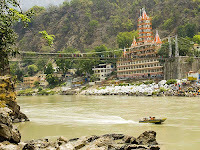 By Road: Rishikesh is directly connected with the roads and visitors can get the public transport or private cabs from Agra, Haridwar, Chandigarh, Delhi, Dehradun and Nainital. 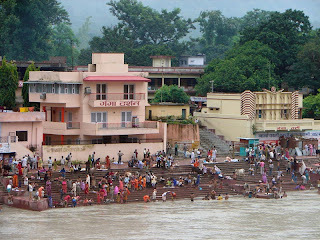 By Rail: The closest railway station from Rishikesh is Haridwar. 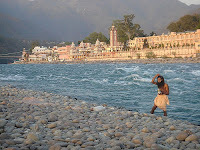 This holy place is best spot for visitors and reaching Rishikesh is only possible through Haridwar. This big railway station is easily connected with big cities and different states. Loads of express, mail and special trains are linked to Haridwar and visitors can easily reach Rishikesh through road from Haridwar.